An advocate for disabled veterans said new proposed amendments to the Veterans Charter fall short of what is needed and "definitely short of expectations." Members of Parliament with the Commons veterans affairs committee made 14 recommendations to update the charter to enhance benefits for seriously disabled military members and extend those benefits for life. But veterans' advocate Sean Bruyea said the changes do little to help disabled veterans and in some instances make things worse. "I believe it will eventually makes things worse if they are enacted in their entirety," said Bruyea. 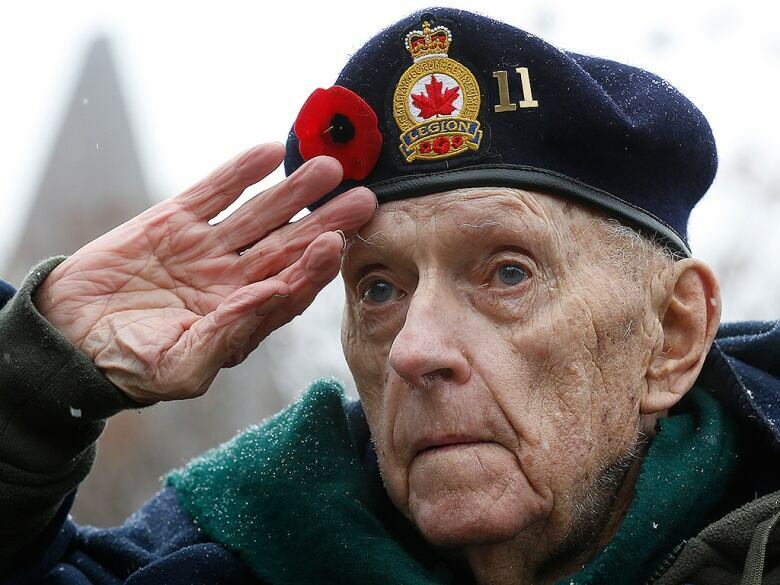 A new report tabled with House of Commons Standing Committee on Veterans Affairs recommends that the solemn obligation of the people and Government of Canada to veterans who have been disabled or died be set out in the New Veterans Charter. (Chris Wattie/Reuters)The Veterans Charter has been controversial since it was introduced in 2005, reducing financial benefits available to injured vets at the same time as it improved rehabilitation services. In particular it offered a lump-sum payment instead of a lifetime pension. Bruyea says the new charter recommendations don't address the lump-sum payment and that the newly calculated earnings loss benefit of 85 per cent of net income is actually less than what veterans are getting now. "The bureaucracy does not want to pay for veterans benefits," he said. Committee chair and Conservative MP Greg Kerr defended the report, saying the all-party committee was unanimous in supporting the changes. "You can always find individuals that are not going to like it," said Kerr. "We think we presented a balanced approach and this is a good start." Earlier in the day NDP MP Peter Stoffer said the recommendations are not the final word on veterans benefits and that they will continue to work on improving the charter. "This will not solve every problem... but it will go a long way," said Stoffer. Clarifying eligibility to benefits for life for the most seriously disabled veterans. Establishing that army reserves with service-related injuries be entitled to the same benefits and support as regular members. Making social and job-related rehabilitation services available to spouses or partners of veterans with service-related disabilities, that financial support be provided to families who are primary care-givers, and that families have access to psychological counselling and that primary caregivers of seriously-disabled veterans. Veterans Ombudsman Guy Parent said in a statement he was encouraged by the report's recommendations, which he said would help the charter be viewed more positively by injured or ill veterans. "I believe that the committee’s action is a turning point for Veterans’ issues and I am encouraged by the minister of veterans affairs' statement today that the government is prepared to consider many of the report’s recommendations," said Parent. The federal government has previously argued it does not have a social contract with veterans in response to a class-action suit brought by veterans upset with the compensation arrangement offered to wounded soldiers under the New Veterans Charter. But in reviewing the charter, Veterans Affairs Minister Julian Fantino asked the committee to give the government advice on the nature of its obligations towards its veterans. "The provisions of this Act shall be liberally construed and interpreted to the end that the recognized solemn obligation of the people and Government of Canada to provide compensation to those members of the forces who have been disabled or have died as a result of military service, and to their dependants, may be fulfilled." ON MOBILE? Read the full report here.